This article is about the U.S. holiday. For the similarly named holiday in other countries, see Labour Day. For other uses, see Labor Day (disambiguation). Labor Day in the United States of America is a public holiday celebrated on the first Monday in September. It honors the American labor movement and the contributions that workers have made to the strength, prosperity, laws, and well-being of the country. It is the Monday of the long weekend known as Labor Day Weekend. It is recognized as a federal holiday. Beginning in the late 19th century, as the trade union and labor movements grew, trade unionists proposed that a day be set aside to celebrate labor. "Labor Day" was promoted by the Central Labor Union and the Knights of Labor, which organized the first parade in New York City. In 1887, Oregon was the first state of the United States to make it an official public holiday. By the time it became an official federal holiday in 1894, thirty states in the United States officially celebrated Labor Day. Canada's Labour Day is also celebrated on the first Monday of September. More than 80 countries celebrate International Workers' Day on May 1 – the ancient European holiday of May Day. (May Day was chosen by the Second Internationale of socialist and communist parties to commemorate the Haymarket affair, which occurred in Chicago on May 4, 1886.) Lastly, several countries have chosen neither date for their Labour Day. Beginning in the late 19th century, as the trade union and labor movements grew, different groups of trade unionists chose a variety of days on which to celebrate labor. In the United States, a September holiday called Labor Day was first proposed in the early 1880s. Alternate stories of the event's origination exist. 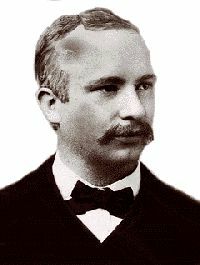 An alternative thesis maintains that the idea of Labor Day was the brainchild of Peter J. McGuire, a vice president of the American Federation of Labor, who put forward the initial proposal in the spring of 1882. According to McGuire, on May 8, 1882, he made a proposition to the fledgling Central Labor Union in New York City that a day be set aside for a "general holiday for the laboring classes". According to McGuire he further recommended that the event should begin with a street parade as a public demonstration of organized labor's solidarity and strength, with the march followed by a picnic, to which participating local unions could sell tickets as a fundraiser. According to McGuire he suggested the first Monday in September as an ideal date for such a public celebration, owing to optimum weather and the date's place on the calendar, sitting midway between the Fourth of July and Thanksgiving public holidays. In 1887 Oregon became the first state of the United States to make Labor Day an official public holiday. By the time it became an official federal holiday in 1894, thirty U.S. states officially celebrated Labor Day. All U.S. states, the District of Columbia, and the United States territories have subsequently made Labor Day a statutory holiday. The date of May 1 (an ancient European folk holiday known as May Day) emerged in 1886 as an alternative holiday for the celebration of labor, later becoming known as International Workers' Day. The date had its origins at the 1885 convention of the American Federation of Labor, which passed a resolution calling for adoption of the eight-hour day effective May 1, 1886. While negotiation was envisioned for achievement of the shortened work day, use of the strike to enforce this demand was recognized, with May 1 advocated as a date for coordinated strike action. The proximity of the date to the bloody Haymarket affair of May 4, 1886, further accentuated May First's radical reputation. There was disagreement among labor unions at this time about when a holiday celebrating workers should be, with some advocating for continued emphasis of the September march-and-picnic date while others sought the designation of the more politically-charged date of May 1. 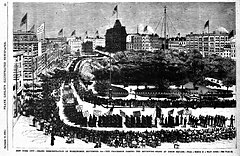 Conservative Democratic President Grover Cleveland was one of those concerned that a labor holiday on May 1 would tend to become a commemoration of the Haymarket Affair and would strengthen socialist and anarchist movements that backed the May 1 commemoration around the globe. In 1887, he publicly supported the September Labor Day holiday as a less inflammatory alternative. The date was formally adopted as a United States federal holiday in 1894. In the United States, many school districts resume classes around the Labor Day holiday weekend (see First day of school). Many begin the week before, making Labor Day weekend the first three-day weekend of the school calendar, while others return the Tuesday following Labor Day, allowing families one final getaway before the school year begins. Many districts across the Midwest are opting to begin school after Labor Day. In the U.S. state of Virginia, the amusement park industry has successfully lobbied for legislation requiring most school districts in the state to have their first day of school after Labor Day, in order to give families another weekend to visit amusement parks in the state. The relevant statute has been nicknamed the "Kings Dominion law" after one such park. In Minnesota the State Fair ends on Labor Day. Under state law public schools normally do not begin until after the holiday. Allowing time for school children to show 4-H projects at the Fair has been given as one reason for this timing. In U.S. sports, Labor Day weekend marks the beginning of many fall sports. National Collegiate Athletic Association (NCAA) teams usually play their first games that weekend and the National Football League (NFL) traditionally play their kickoff game the Thursday following Labor Day. The Southern 500 NASCAR auto race has been held on Labor Day weekend at Darlington Raceway in Darlington, South Carolina from 1950 to 2003 and since 2015. At Indianapolis Raceway Park, the National Hot Rod Association hold their finals of the NHRA U.S. Nationals drag race that weekend. Labor Day is the middle point between weeks one and two of the U.S. Open Tennis Championships held in Flushing Meadows, New York. To take advantage of large numbers of potential customers with time to shop, Labor Day has become an important weekend for discounts and allowances by many retailers in the United States, especially for back-to-school sales. Some retailers claim it is one of the largest sale dates of the year, second only to the Christmas season's Black Friday. ^ a b c The Bridgemen's magazine. International Association of Bridge, Structural and Ornamental Iron Workers. 1921. pp. 443–444. Archived from the original on October 9, 2013. Retrieved September 4, 2011. ^ Philip S. Foner (1986). May Day: A Short History of the International Workers' Holiday, 1886–1986. New York: International Publishers. pp. 41–43. ISBN 0-7178-0624-3. ^ a b "United States Department of Labor: The History of Labor Day". Archived from the original on September 25, 2017. Retrieved November 3, 2017. ^ Sally Kohn (September 1, 2014). Why Labor Day was a political move. CNN. Retrieved August 3, 2018. ^ "Knights of Labor". Progressive Historians. September 3, 2007. Archived from the original on September 30, 2007. ^ "Labor Day: The Last (and Best) Chance for a Summer Vacation". Travelocity. ^ Charles, C. M.; Senter, Gail W. (2008). Elementary classroom management. Pearson/Allyn and Bacon. p. 20. ISBN 978-0-205-51071-9. Archived from the original on January 7, 2014. Retrieved September 4, 2011. ^ Freed, Benjamin (August 25, 2014). ""Kings Dominion Law" Still Reigns in Virginia". Washingtonian. Archived from the original on September 13, 2016. Retrieved September 5, 2016. ^ "Commonly asked questions". www.mpls.k12.mn.us. Archived from the original on September 4, 2017. Retrieved November 27, 2017. ^ Laura FitzPatrick (September 8, 2009). "Why We Can't Wear White After Labor Day". Time Magazine. Archived from the original on March 3, 2011. Retrieved February 25, 2011. ^ Bell, Johnathan (May 9, 2011). "An Introduction to Seersucker for Men". Guy Style Guide. Archived from the original on April 19, 2012. Retrieved May 2, 2012. ^ O'Brien, Glenn. "Daytime wedding after Labor Day: Is it OK to wear a light beige suit to a daytime wedding after Labor Day?". GQ. The Style Guy. Archived from the original on January 31, 2012. Retrieved May 2, 2012. ^ "Labor Day Weekend". rove.me. ^ "20+ Ways to Celebrate Labor Day Weekend in Washington, DC". Destination DC. ^ "Labor Day Intention Still Holds Meaning". Tri Parish Times. August 30, 2012. Retrieved August 31, 2012. Wikimedia Commons has media related to Labor Day in the United States. Labor Day is May 1: Today is a boss’s holiday. Jacobin. September 7, 2015. Today Belongs to Workers. Jacobin. September 5, 2016. "Labor Day" . New International Encyclopedia. 1905. This page was last edited on 7 April 2019, at 08:37 (UTC).